The lunch period ended like so many others. After the bell rang, students raced up the stairwell, not in a rush to get to class on time but to finish socializing and playing with their friends. I was a sophomore at Lake Area New Tech High School in New Orleans at the time, and I was not very different from the other students. Instead of studying during my spare time or rushing to get to class, I talked to girls and texted on my phone. But on this particular day I came to a realization. As students rushed by, my fifth period teacher Mr. Allen simply opened the door to let his students enter his classroom. By the time the tardy bell rang, we had all taken our seats and opened our history books, quietly awaiting further instructions. How was it that one of the few great black teachers in the school building was able to gain our trust and respect when less than five minutes ago we had no concerns about what we were doing so long as it was not school work? Somewhat to my surprise, I realized that Mr. Allen’s background partly explained our behavior. But what shocked me even more than this realization was the fact that a lot of other teachers could not control a class, let alone get their students interested in the work. Mr. Allen could do both. This situation helped me notice an even bigger issue in my school. A lot of the good, black teachers were being replaced. Not only were they being replaced, but younger white teachers were replacing them. This started during my sophomore year and continued until I became a senior this past school year. Given that the school is predominantly black, this troubled me. Particularly upsetting to me was the departure of the music teacher, a veteran black educator who helped run the school choir and put together trips for students. When I talked to administrators about the departures of good black teachers, I was told that students need diversity in order to receive a high quality education. The school principal, who is black, has pointed out that a majority of the teachers are still black — a higher percentage than at many other New Orleans charter schools. He also pointed out that students are not always privy to the reasons teachers depart, and some might have chosen to leave. I believe that students need diverse educational experiences, but I do not agree that this diversity must come from the race of the teachers. In my opinion, this is not the best tactic to improve education for students, particularly students of color. Mr. Allen provided his students with diverse learning experiences by engaging them in many different ways. Some days we read and took notes, some days we watched video clips and had open-ended discussions. Along with understanding the necessity of varying his teaching methods, Mr. Allen was also familiar with the city of New Orleans and its many different problems and inhabitants. While Mr. Allen could have become a teacher without this insight, it better prepared him to teach and connect with students. Mr. Allen raised the self-esteem and confidence of his students in all of his classes, and he gained the respect and trust of his students to a degree that allowed him to keep our attention and focus on what we were learning. This was something that many teachers, both white and black, had a great level of difficulty doing. This essay is part of a collaboration between The Hechinger Report and high school students at Bard’s Early College in New Orleans. The teenagers wrote opinion pieces on whether all students should be encouraged to attend college, the value of alternative teacher preparation programs such as Teach For America, the importance of desegregation, or the best approach to school discipline. The problem in providing students in New Orleans with a great and diverse education is growing bigger as more and more teachers from outside of the neighborhood and the city itself take these local teaching jobs. Before Hurricane Katrina in 2005, for instance, nearly seventy-five percent of the city’s public school teachers were black. But the Orleans Parish School Board fired all of its teachers following the storm, and the charter and state-run schools that replaced the old district relied heavily upon programs such as Teach For America to hire new teachers. By 2008, the proportion of black teachers fell to 57 percent. The fact that the city’s public schools now accept students from all over the city only makes this problem worse since it breaks the connection between schools and their neighborhoods. This problem will continue to grow if local teaching jobs continue to be outsourced to teachers who are unfamiliar with the city and who do not fully understand the local standards and issues that affect students’ day-to-day lives. For example, the most recent annual report from the Cowen Institute for Public Education Initiatives states that 89 percent of the students attending public schools in New Orleans during the 2012-2013 school year were black and that 82 percent of all students qualified for free or reduced price lunch, a common measure of poverty. This means that few students actually have access to all of the resources that they need to be successful in school. Truly understanding the environment that students come from – rather than just knowing the statistics that describe their lives – can benefit teachers and students. I firmly believe that having more local teachers and more teachers who understand the city’s social and political problems can provide students with the training they need to be successful as students and as adults. If we replace tactics such as hiring teachers from outside of the city or state with methods that focus on hiring qualified local teachers, we can greatly improve the quality of education. 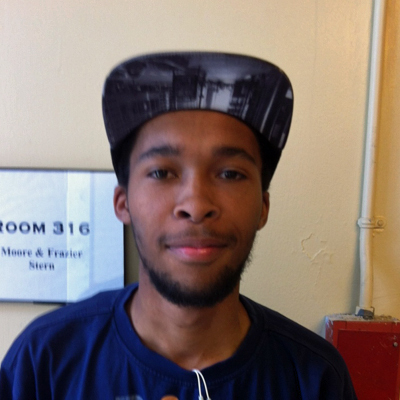 Glenn Sullivan, 19, is a student at New Orleans’ Lake Area New Tech Early College High School.